COSMA accredits sport management programs in institutions of higher education worldwide that grant degrees at the bachelor's, master's and doctoral levels. 1) The following typical disciplinary areas in sport management are considered to be the “traditional areas of sport management education:” sport management, sport administration, sport marketing, sport business, athletic administration, event management, sport finance, sport leadership, and sport law. 2) Programs are considered to be “sport management programs” if their content is such that 20 percent or more of the total credit hours required for an undergraduate degree, or 50 percent or more of the total credit hours required for a graduate degree are in the traditional areas of sport management education. 3) COSMA expects that sport management programs normally are offered through the academic unit/sport management program. However, COSMA respects the differences that exist within institutions of higher education, and realizes that institutions may have valid reasons for offering some sport management programs outside of the academic unit/sport management program. All sport management programs normally will be included in the COSMA accreditation review regardless of whether they are administered or delivered solely by the academic unit/sport management program or through cooperative or interdisciplinary arrangements with other units of the institution. 4) All off-campus locations of an institution that offer degree programs in sport management fields normally will be included in the COSMA accreditation process, as long as those programs are under the degree-granting authority of the institution seeking accreditation. Where multiple campuses exist within the framework of one institution, the COSMA Board of Commissioners will determine which campuses may be included in a single self study. 5) All sport management programs, regardless of mode of delivery, should normally be included in COSMA accreditation. This includes online programs, distance learning programs, adult degree completion programs, accelerated programs, and other “nontraditional” programs, regardless of whether these programs are administered by the academic unit/sport management program. 6) If an institution adds a new sport management program, it must notify COSMA of the addition and include it in the next COSMA accreditation self study. Normally a new degree program will have been operational, and produced graduates, for at least two years before it is reviewed for accreditation by the COSMA Board of Commissioners. All new degree programs must be reviewed by COSMA within five years of their inception. 7) In its application for candidacy status or for reaffirmation of accreditation, the academic unit/sport management program must provide a list of all sport management programs offered, a list of all locations at which the programs are offered, and must indicate which, if any, of those programs and locations it desires to exclude from the accreditation review. If a sport management program or location is to be excluded, the academic unit/sport management program must provide a rationale for the exclusion.The determination of the programs and locations to be included in and excluded from the accreditation review will be made well in advance of the self study year by the COSMA Board of Commissioners. 1) Sport management course content of the program: If the content of a program is such that 20 percent or more of the total credit hours required for an undergraduate degree, or 50 percent or more of the total credit hours required for a graduate degree are in the traditional areas of sport management education, then it is assumed that the program is a sport management program and should be included in the COSMA accreditation review. 2) Operational control of the program: If the academic unit/sport management program has little or no operational control over a program offered on the main campus or at a separate off-campus location, then exclusion of that program or location may be justified. 3) Ability to distinguish and differentiate between programs: Stakeholders of the program, including faculty, current and potential students and their families, and employers are entitled to know which programs are accredited by COSMA and which are not. 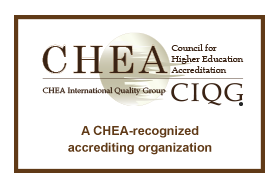 If a program offered on the main campus or at a separate off-campus location is represented in printed or electronic materials alongside accredited programs, it is assumed that the program will be included in the COSMA accreditation review. To be excluded, programs at all locations must be clearly distinguishable from accredited programs by degree name and title, program descriptions, and other representations to stakeholders. 4) Programs offered through cooperative or partnership arrangements: If a sport management program is offered through a cooperative or partnership arrangement with other colleges or universities but the institution’s name does not appear on the diploma or transcript, then the academic unit/sport management program is justified in requesting that the program not be included in the COSMA accreditation review.